A 41-year-old woman is recovering in Rockhampton Hospital this morning after she was trampled by a horse while working on a Clarke Creek property yesterday. 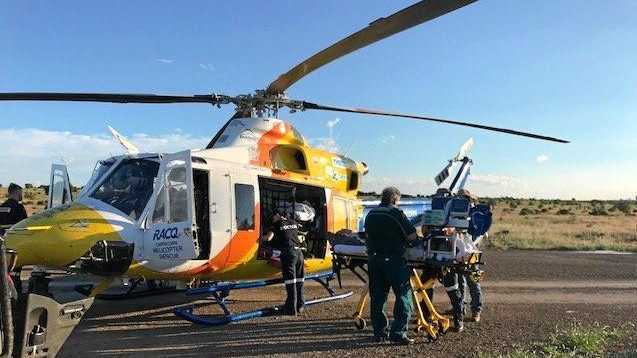 Initial reports indicate the injuries occurred after she fell from the horse about 3.50pm, 135km north of Rockhampton. It's believed she was suffering from back and chest pain and having difficulty breathing when the alarm was raised. She was initially treated on scene by road ambulance crews before receiving further medical treatment from the RACQ Capricorn Helicopter Rescue Service flight medical crew which had been tasked to the scene about 4.15pm. The patient was transported to Rockhampton Hospital by the rescue service in a stable condition for further treatment.